Su carrito contabilizará 21.80 ME punts para canjear en futuras compras. Ozone steamer of functional and simple design. 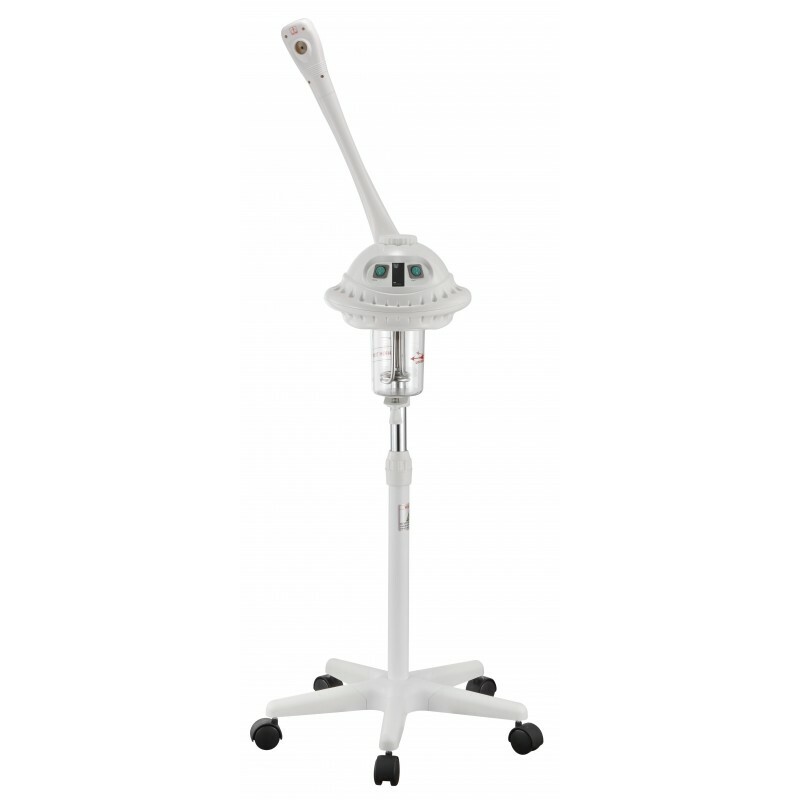 It is equipped with a pivoting arm and a rotating head with an aromatic oil receptacle. It includes a herbs container in the water deposit. Adjustable in height and stable base with wheels for easy movement.